When I am making furniture, I always end up with lots of scrap pieces of timber left over from the project. I neatly file them away and hopefully one day I can use them on another project. Pen blanks is the obvious candidate for scraps but there are only so many pens that I can turn – current count 15,000+. This means I always on the hunt to make smaller pieces (other than pens – every relative has now got at least 2 of my pens) that I can sell or give away. 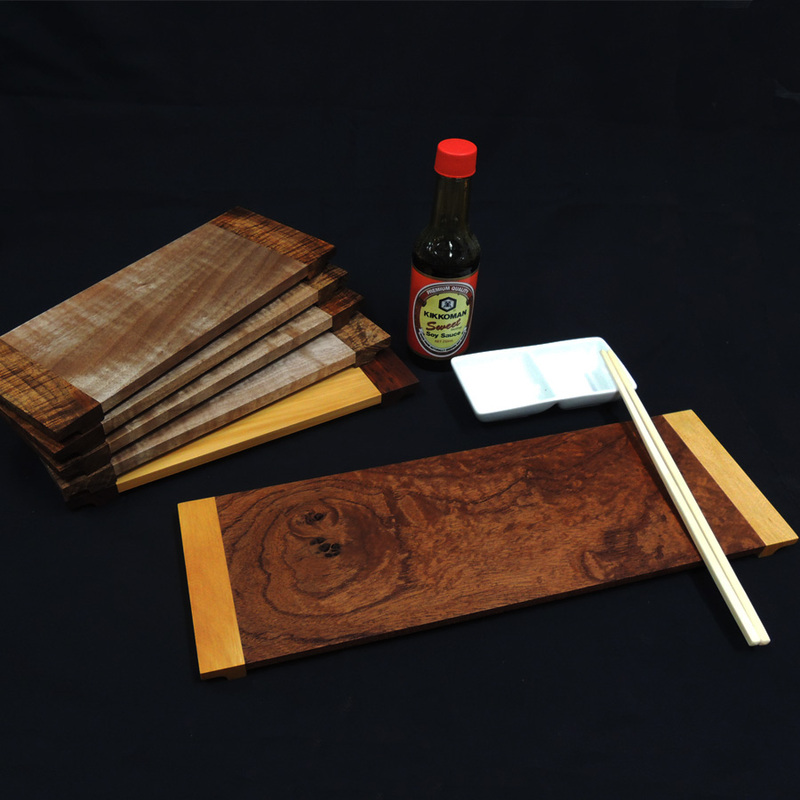 This sushi tray is a perfect project where we can use these scrap pieces and turn them into something special. 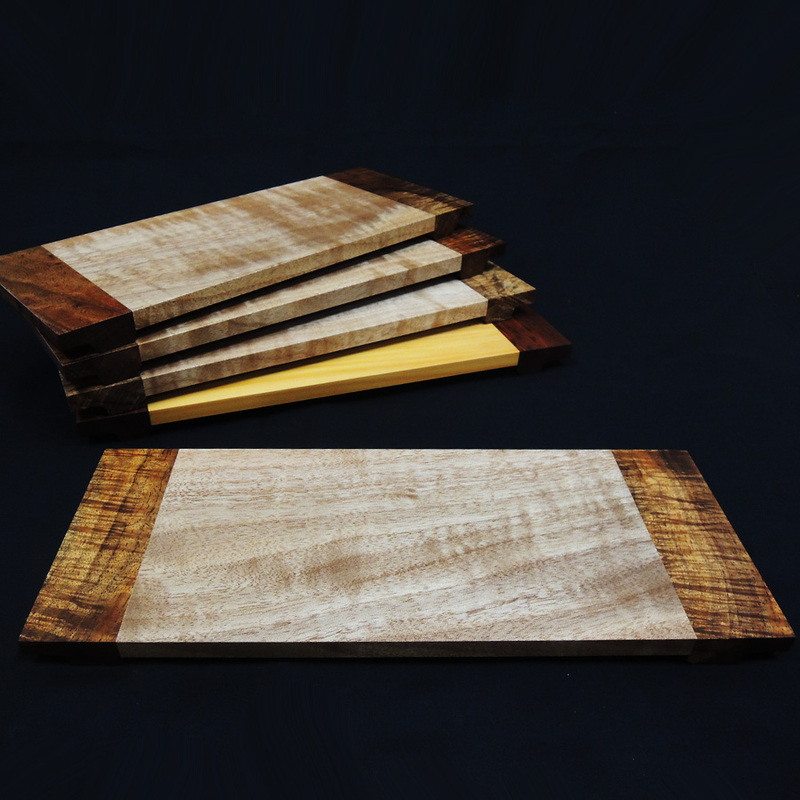 In this project we cover how I make these Sushi trays. This video shows all the steps that I go through to make the tray. Hope you like the video – as always, comments and suggestions are always welcomed.